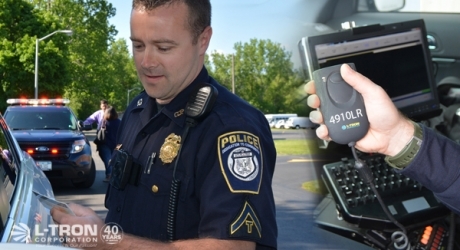 Learn what an Officer has to say about the 4910LR's time savings, accuracy, speed, safety, and more. Software is required to receive driver's license data and process citations, warnings, accident reports, or incident reports. The 4910LR driver's license reader can be configured to work with most public and private e-Citation and accident reporting software applications. The 4910LR is certified by 20+ independent software vendors. or looking to learn more? We have 17+ years of experience working with Public Safety in over 2,000 municipalities across 48 states. 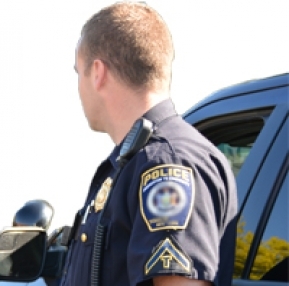 Click to view a list of our Law Enforcement clients.
" I must say, dealing with your company has been a great experience. The promptness of the responses and communication has been outstanding and I will recommend your company to everyone in the law field. " " L-Tron's customer service representatives are wonderful! I ordered 16 scanners and needed to have them delivered quickly. The representatives with whom I dealt were very professional and accommodating. THANK YOU! " " I probably went from writing 10 citation a week to 30 a week with my new [4910LR] DL Reader "
" This [4910LR] scanner is f***ing awesome!"